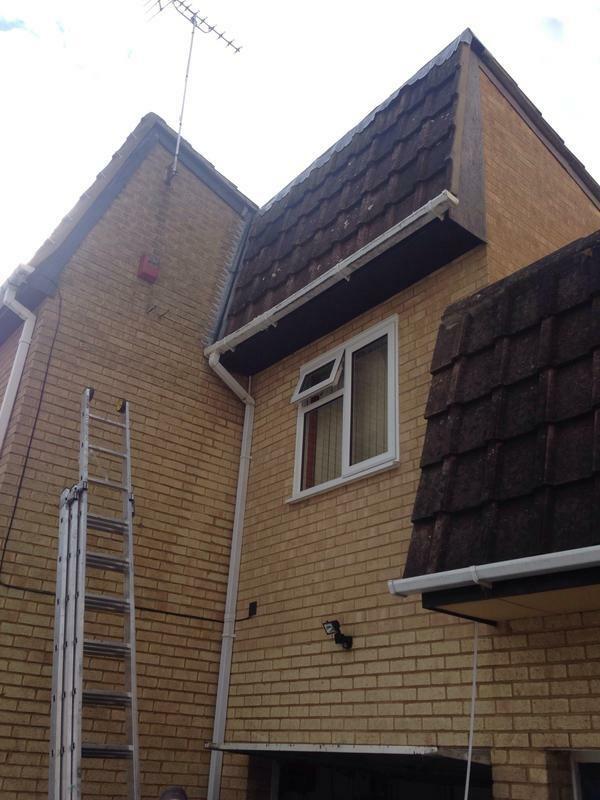 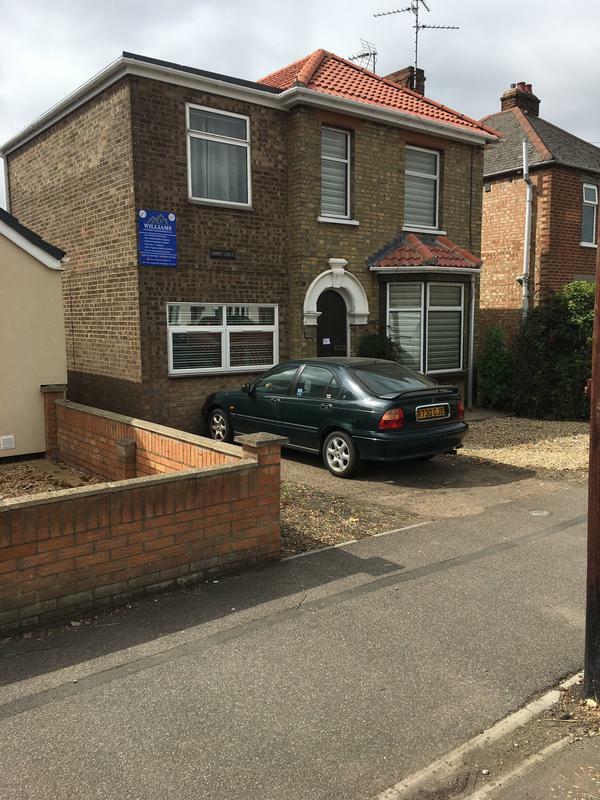 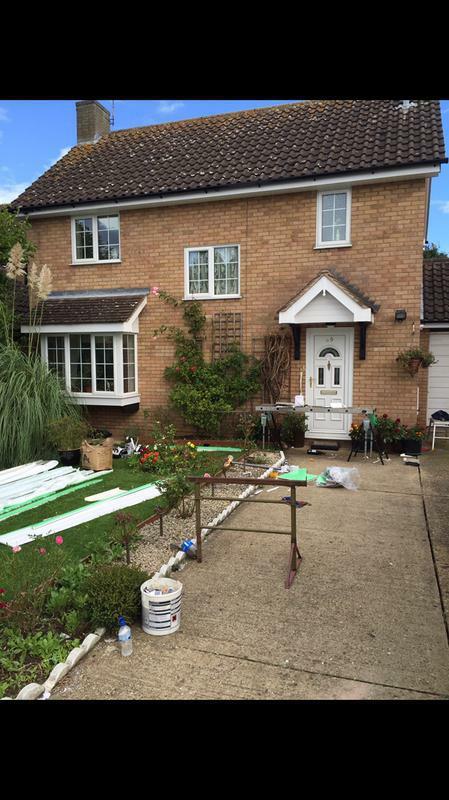 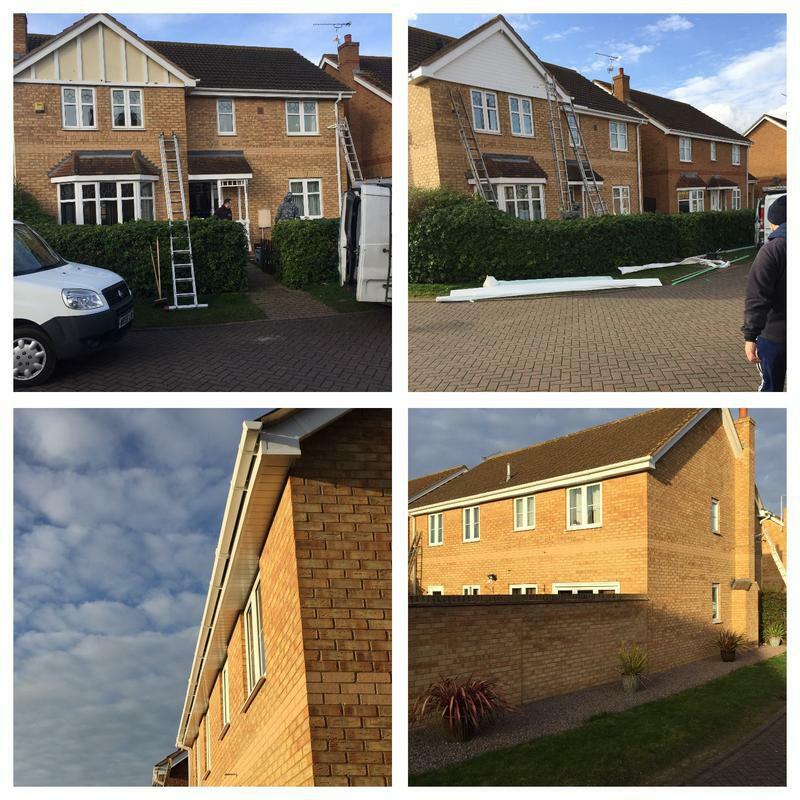 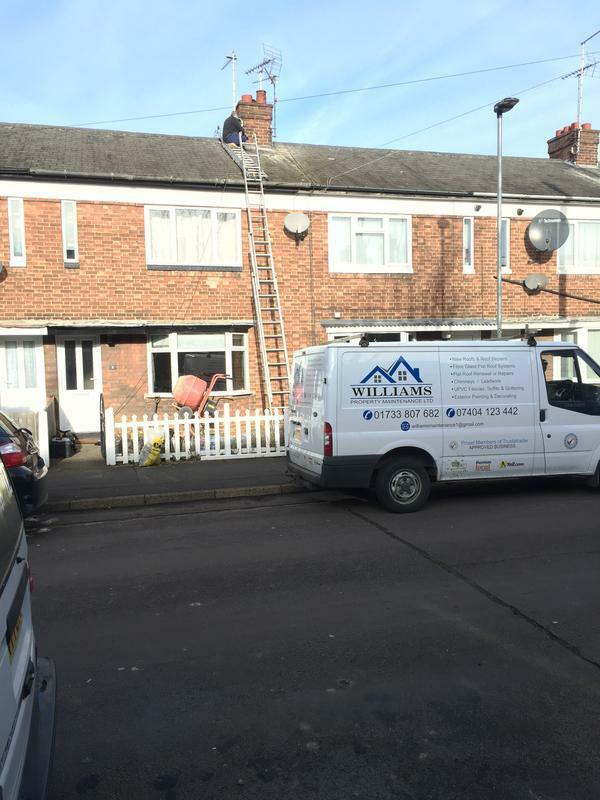 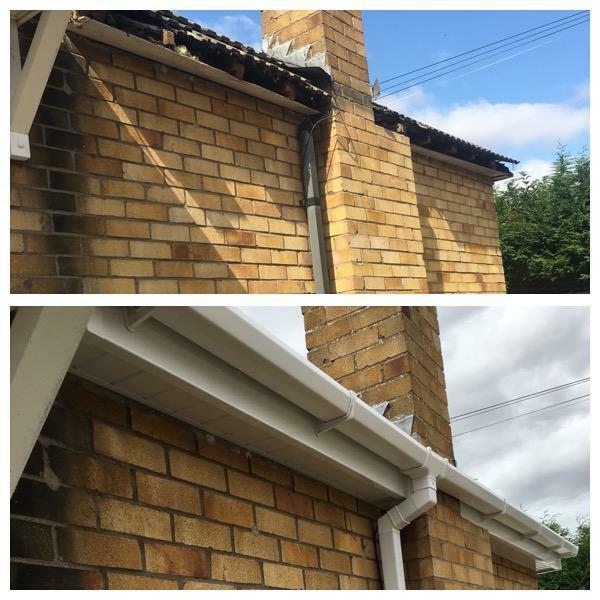 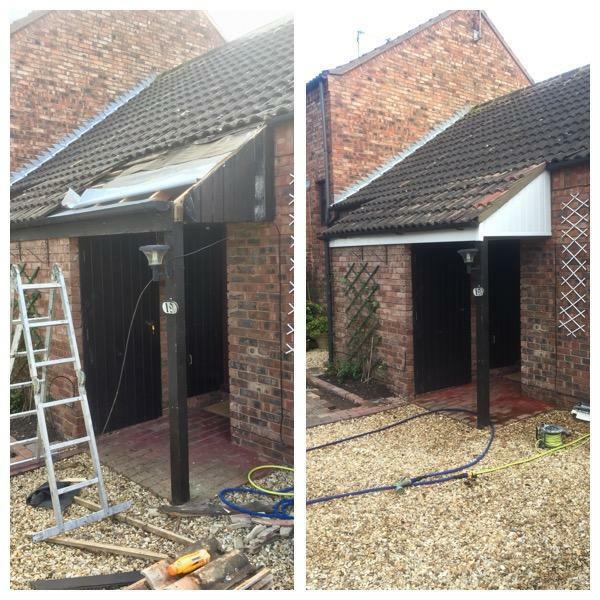 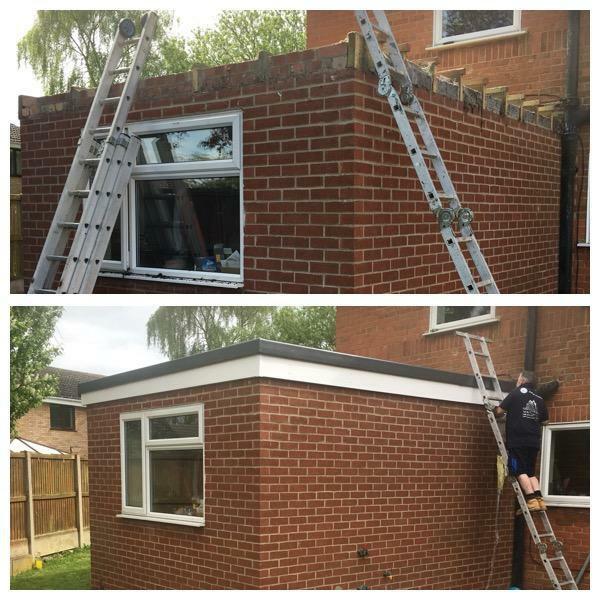 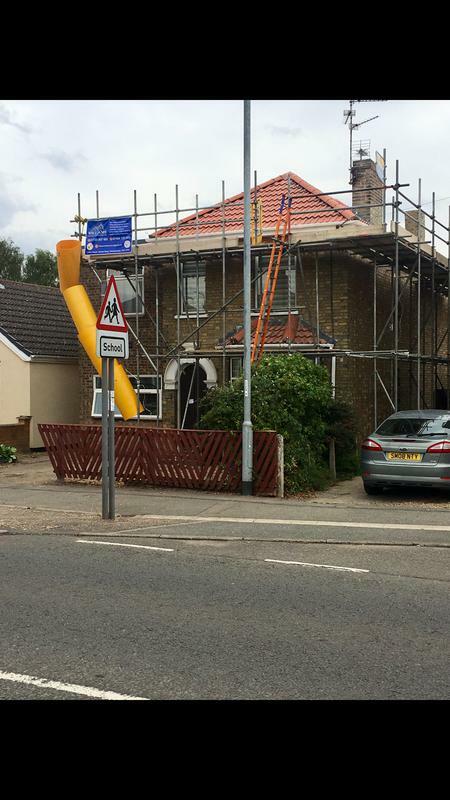 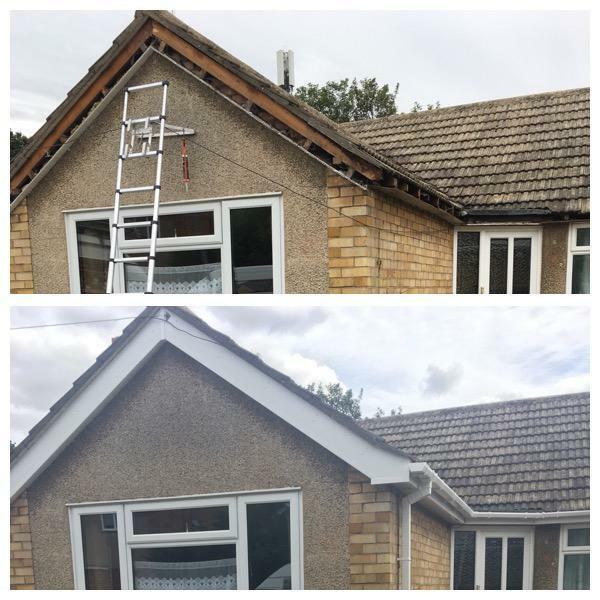 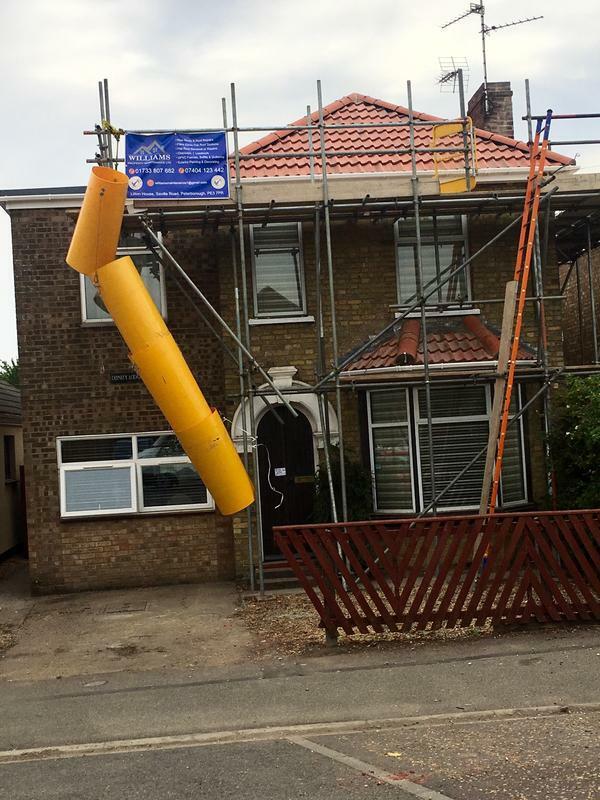 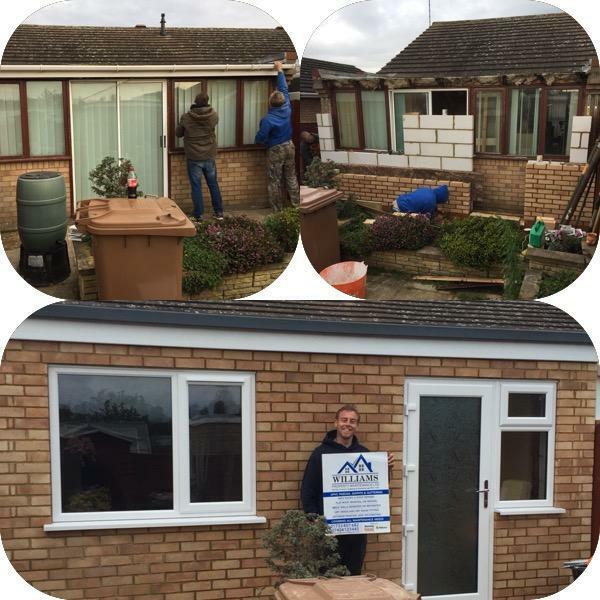 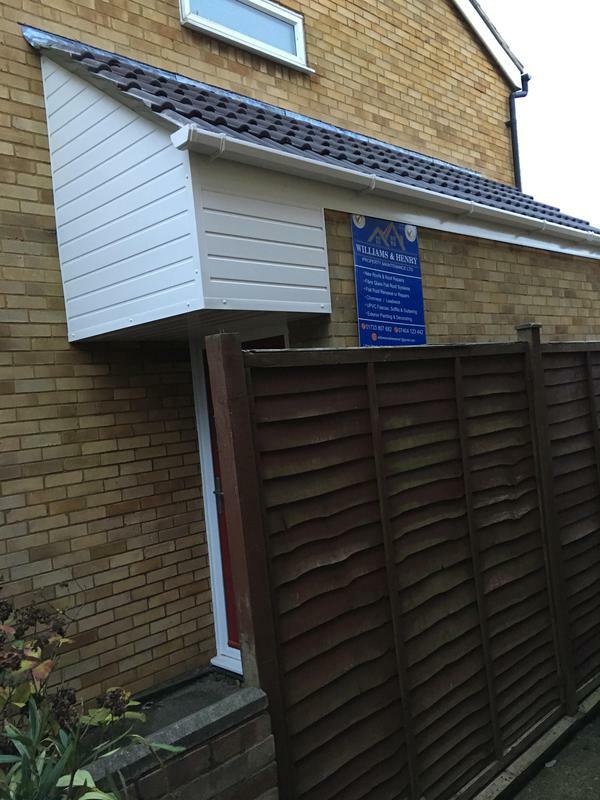 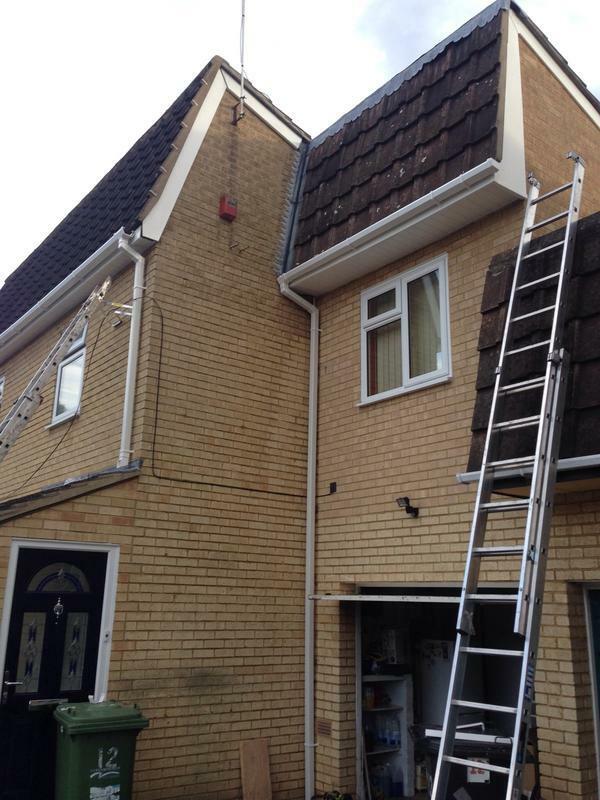 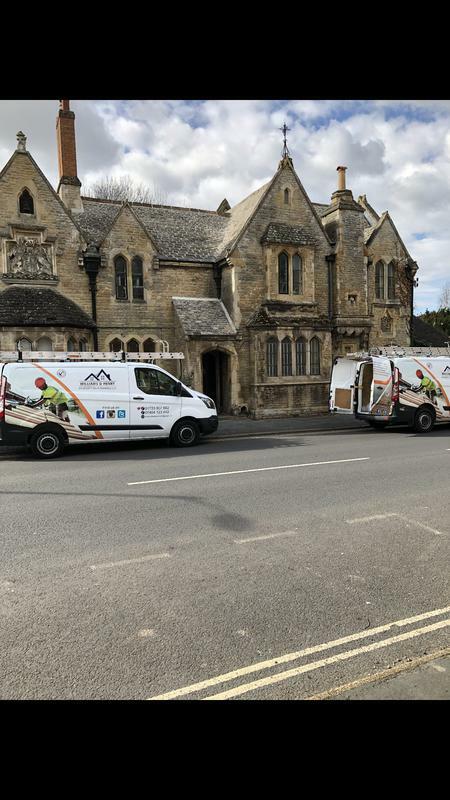 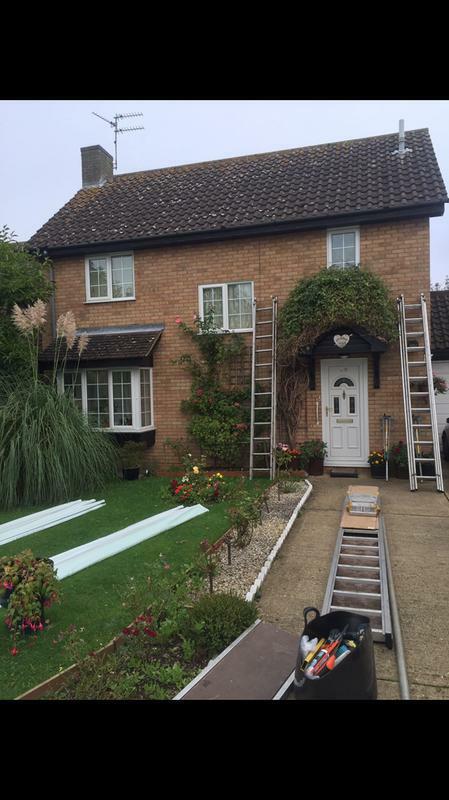 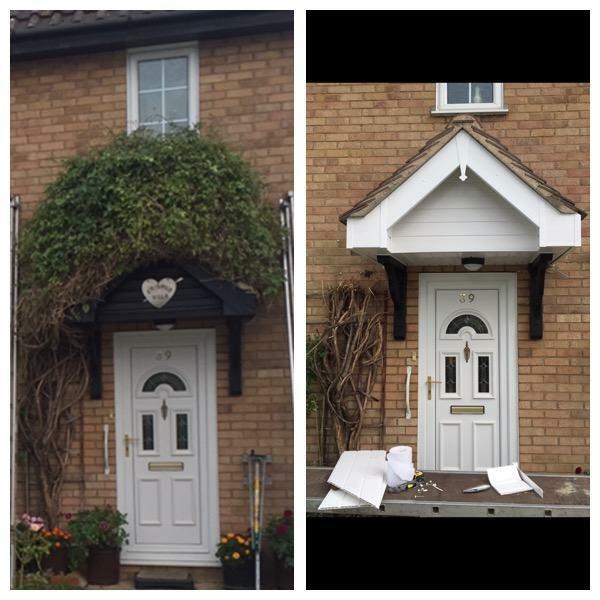 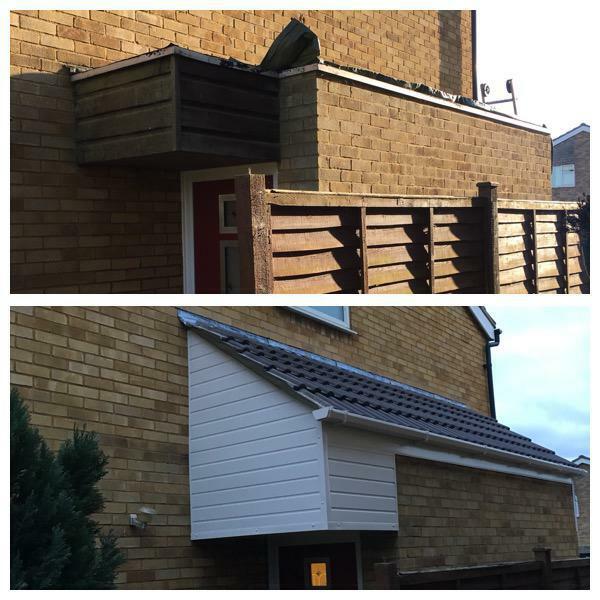 Fascias Soffits & Guttering in Peterborough, PE3 7PR. 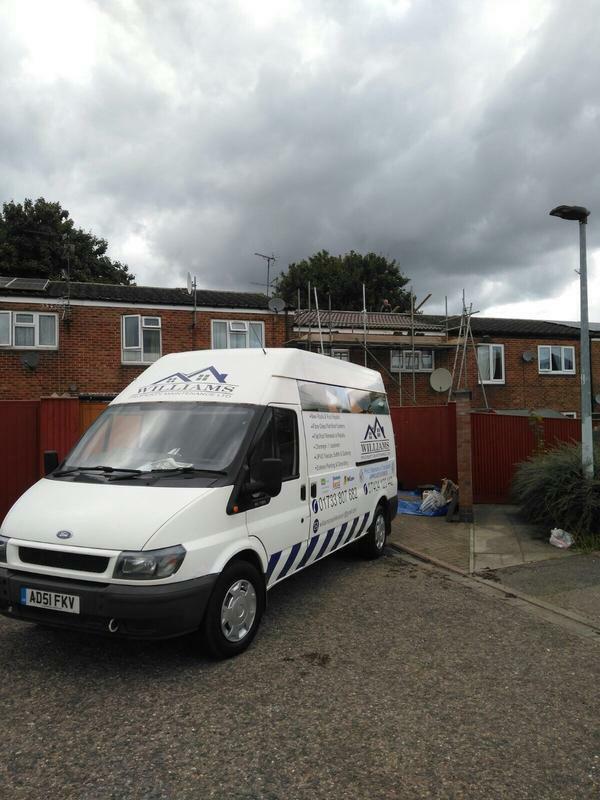 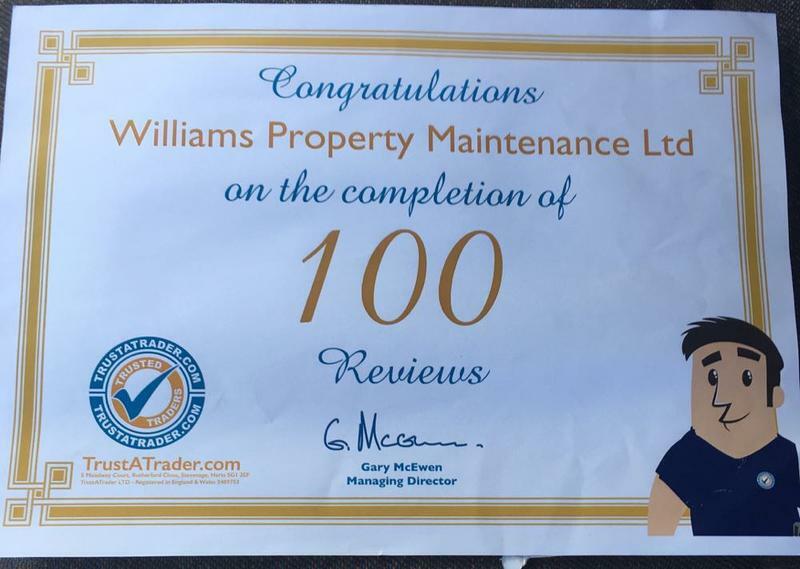 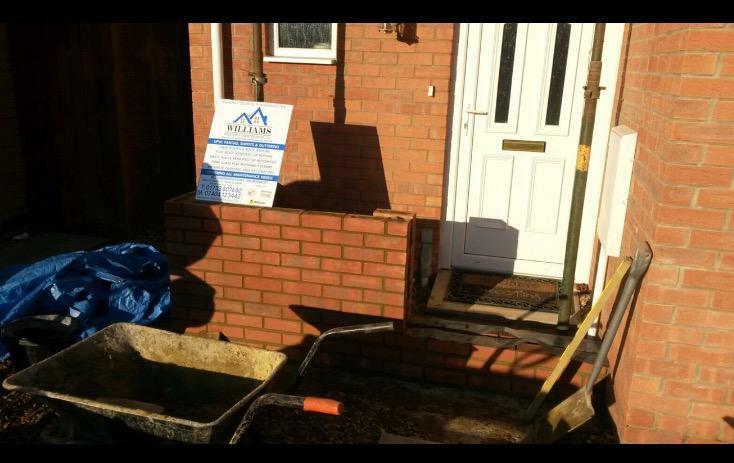 Covering Peterborough and all surrounding areas within 60 miles. 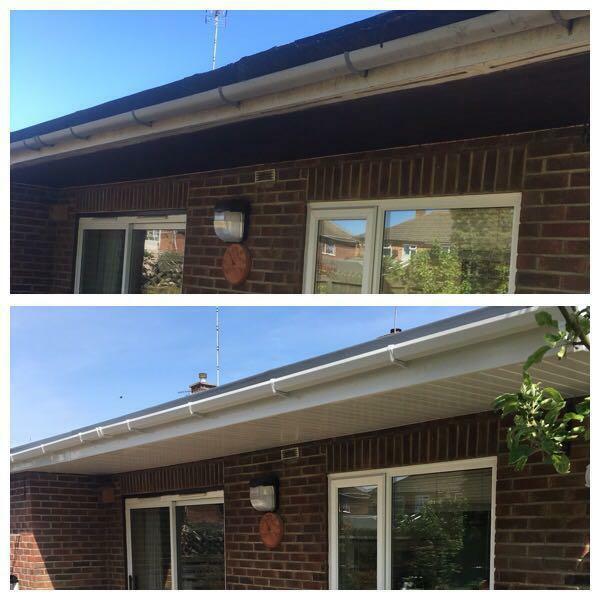 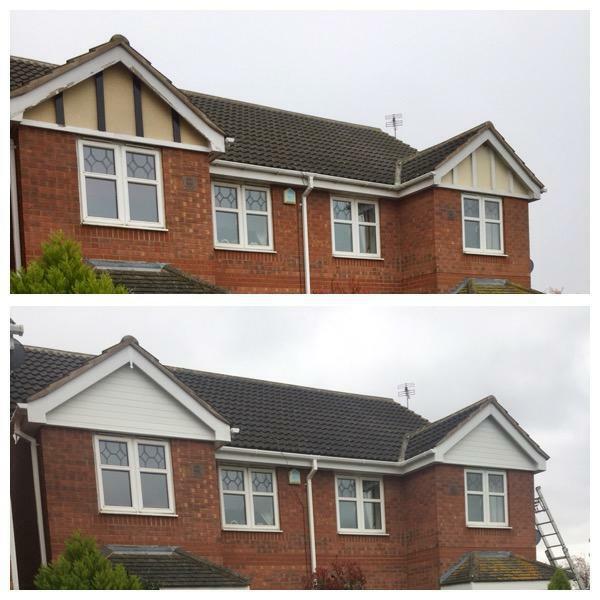 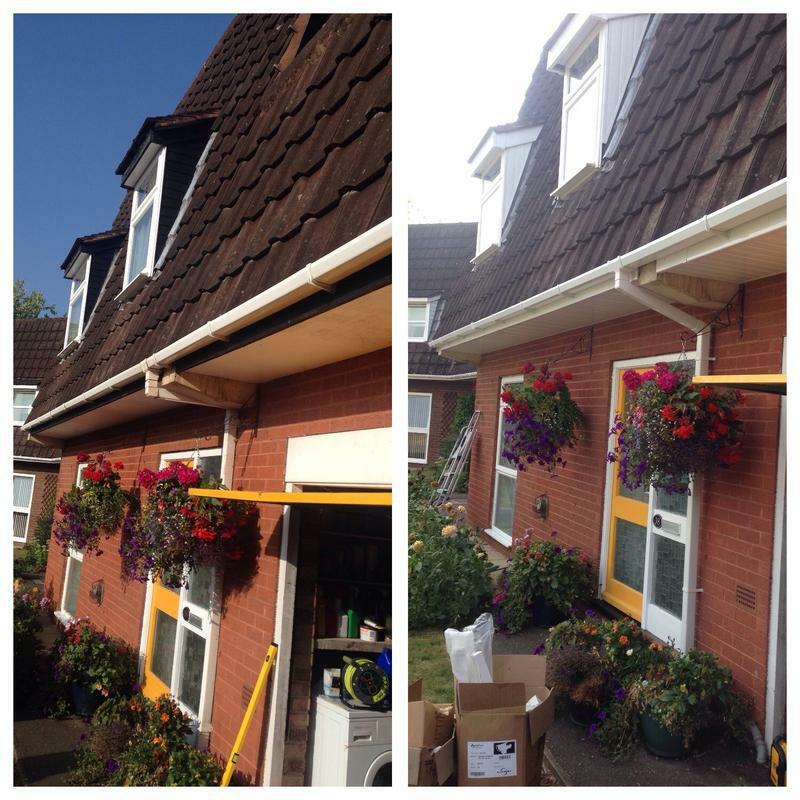 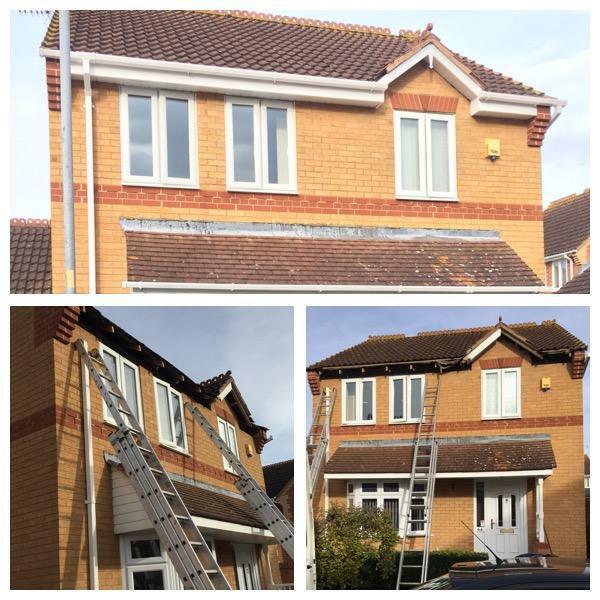 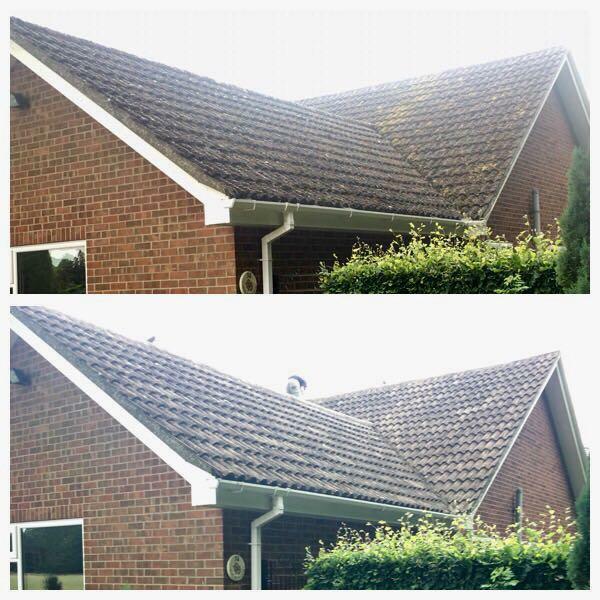 Image 36 - New replacement fascias - soffits - guttering, in white upvc. 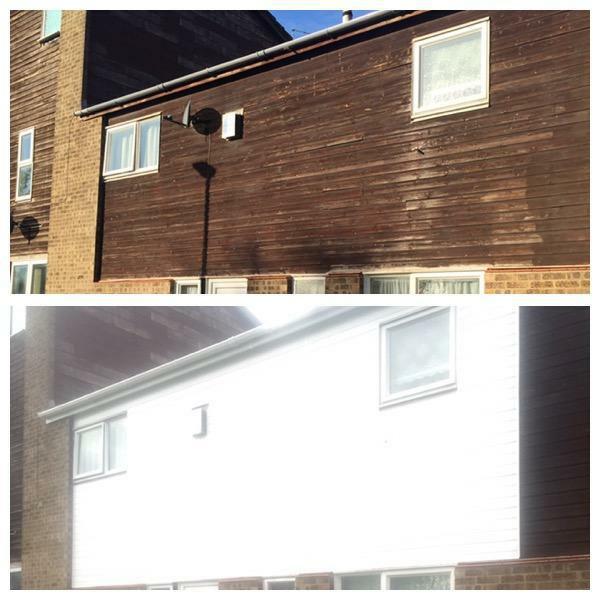 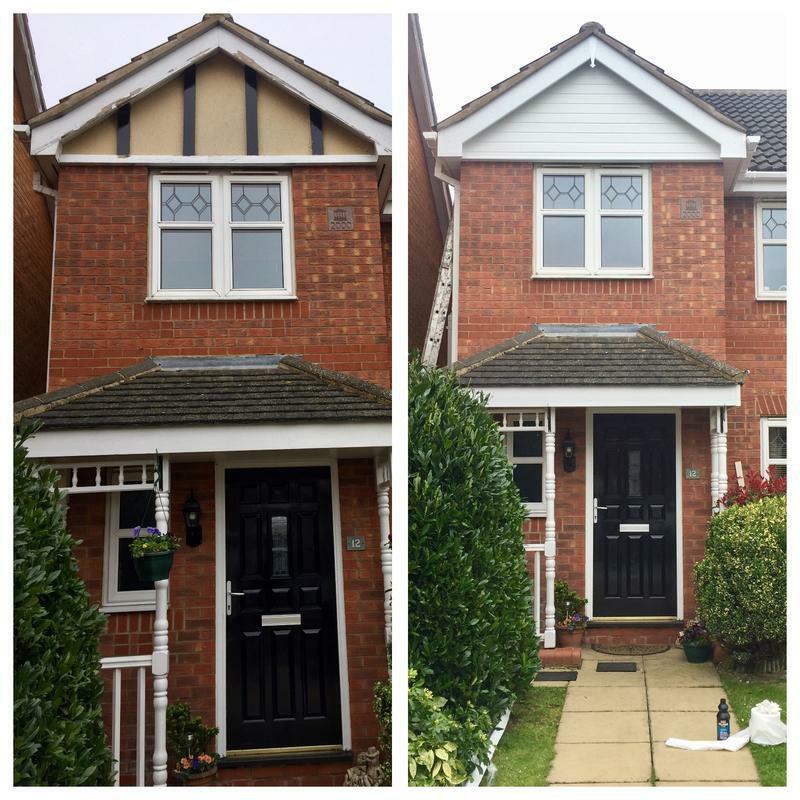 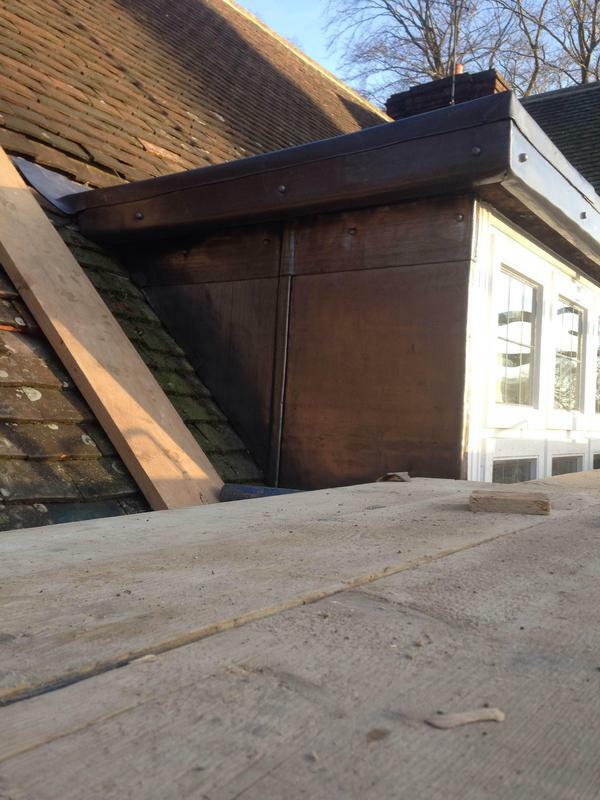 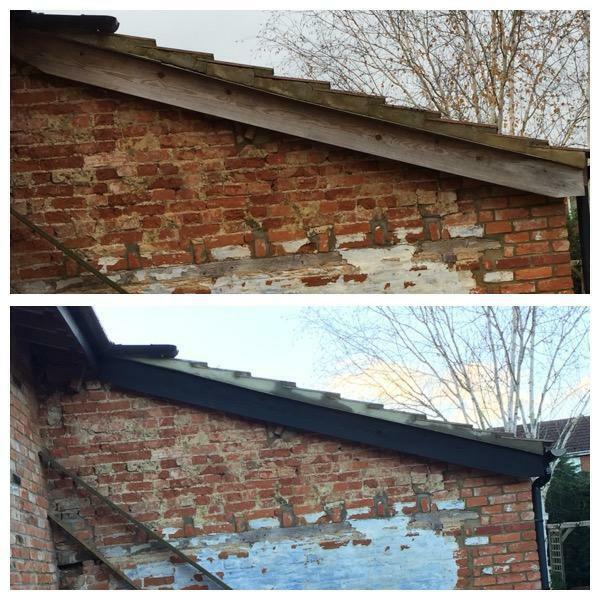 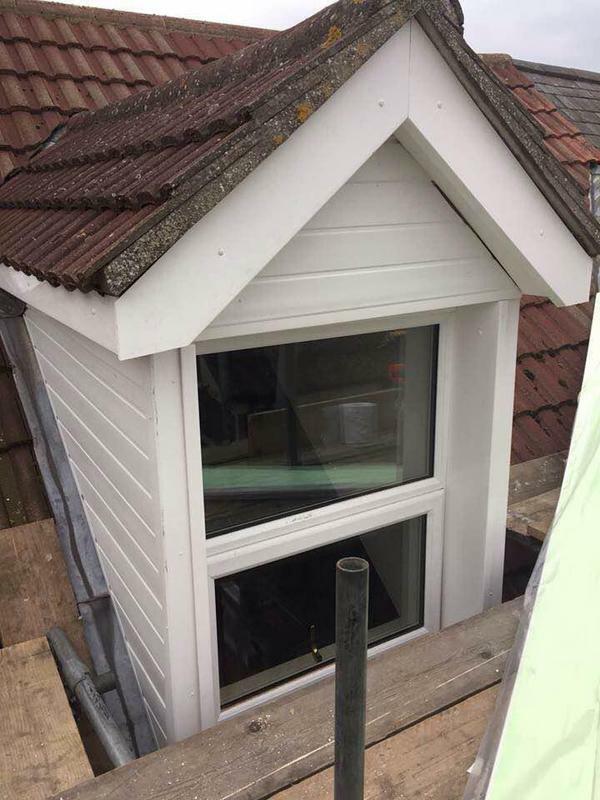 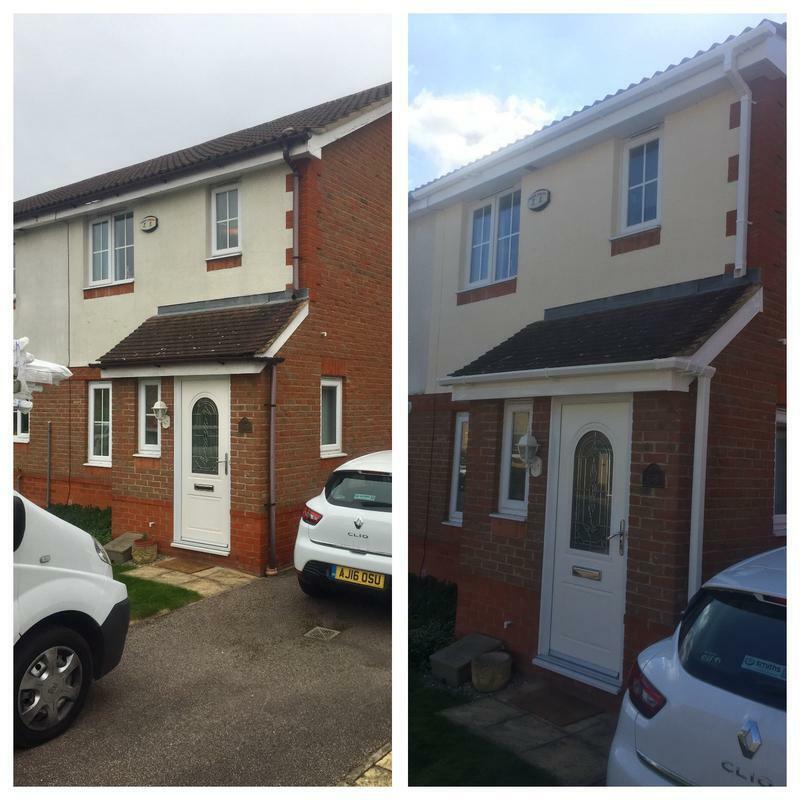 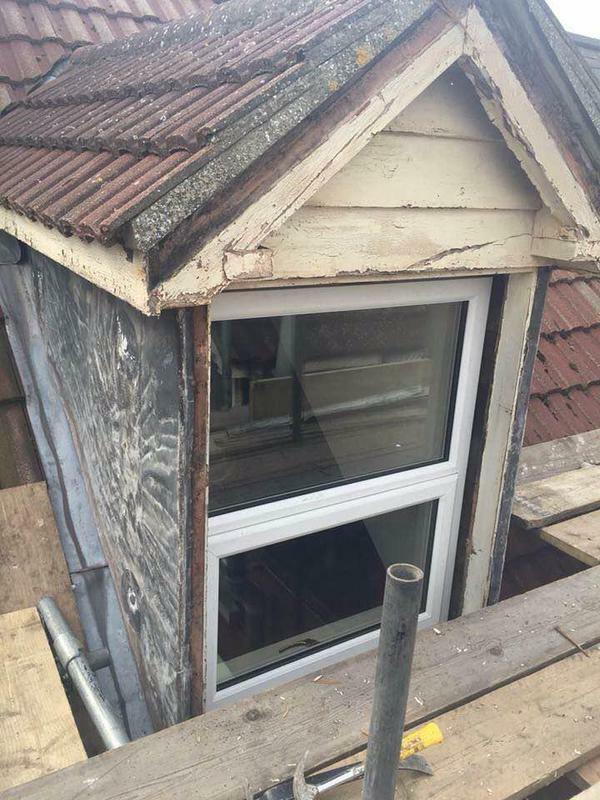 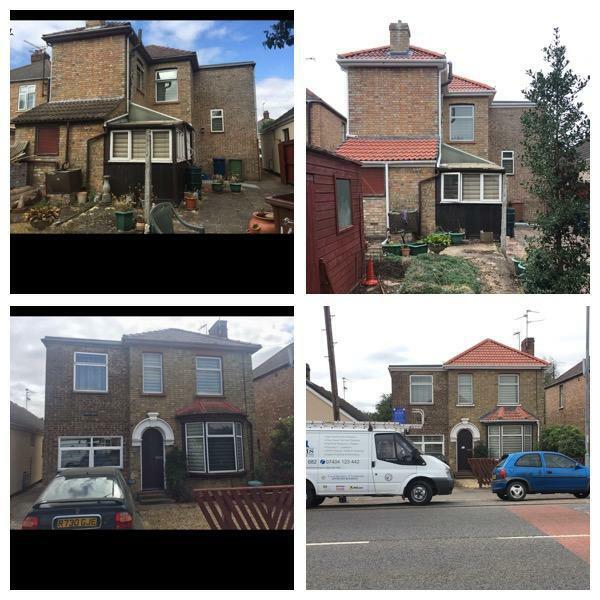 Image 50 - All old tired wooden cladding replaced with a maintenance free upvc white cladding. 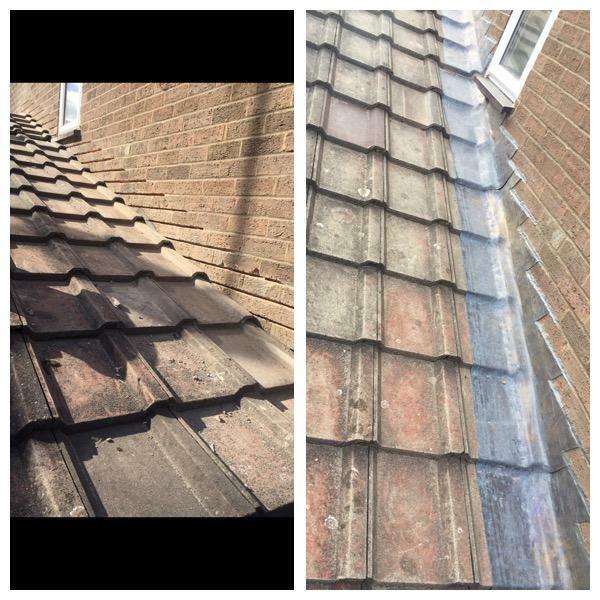 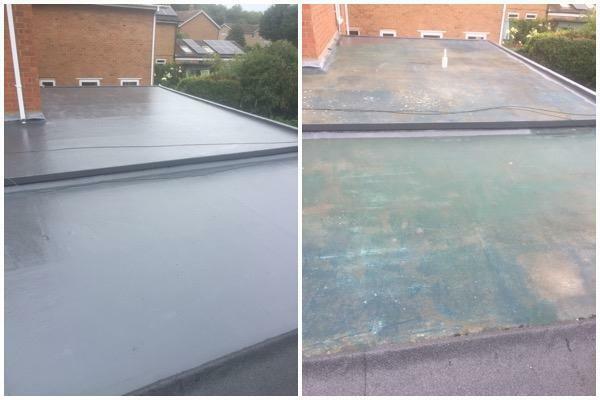 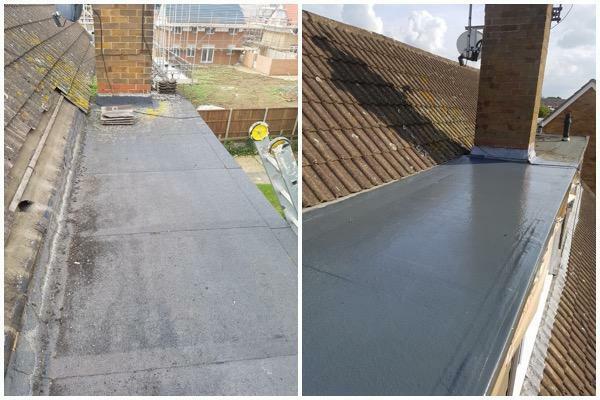 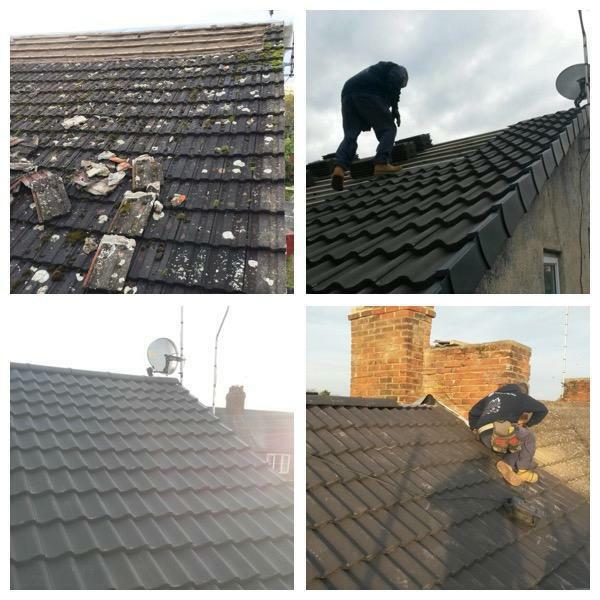 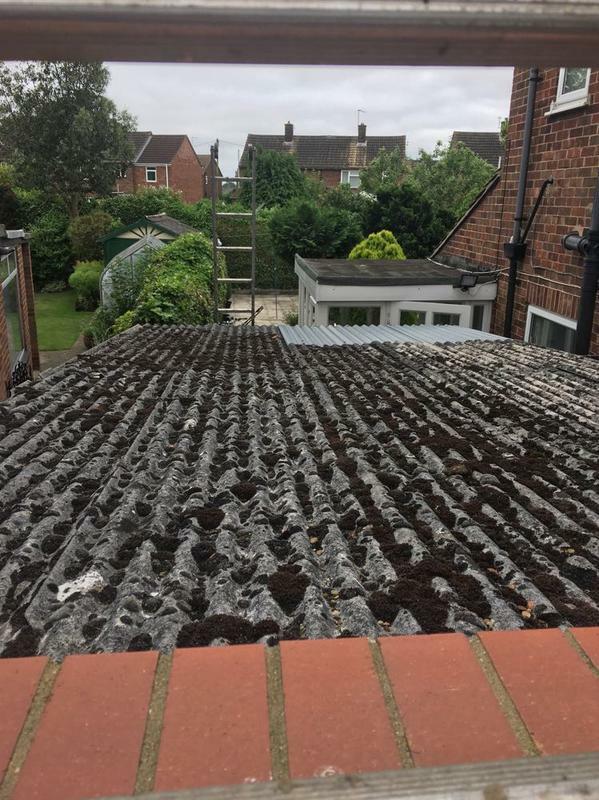 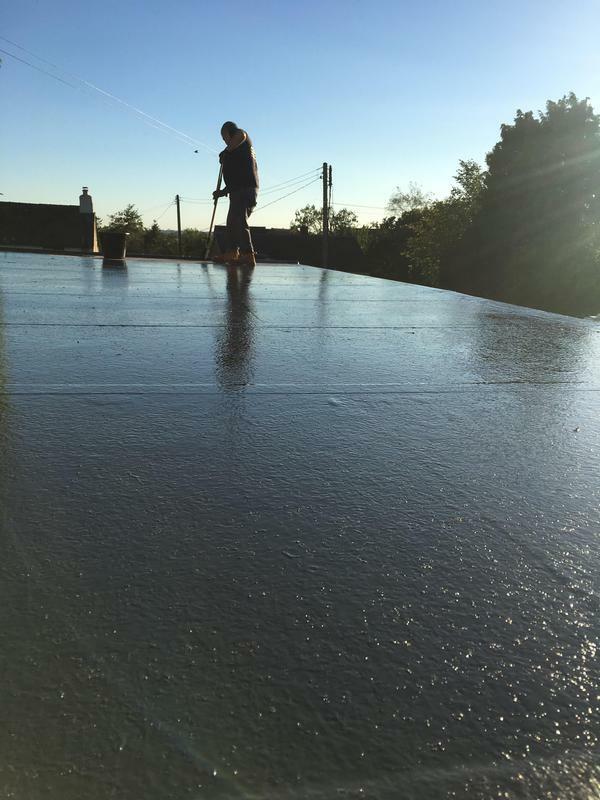 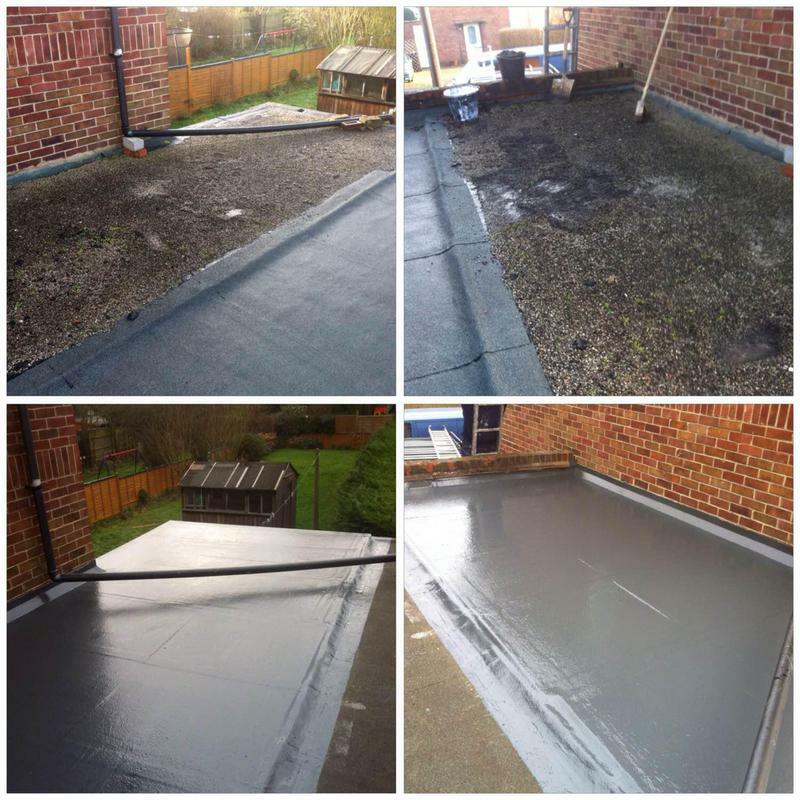 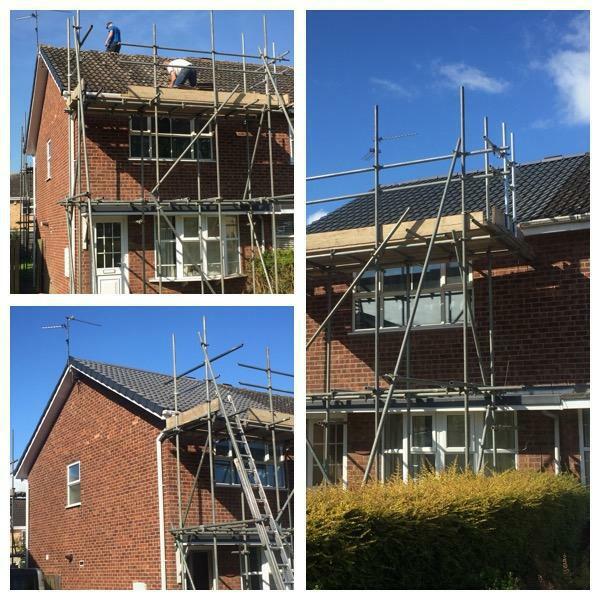 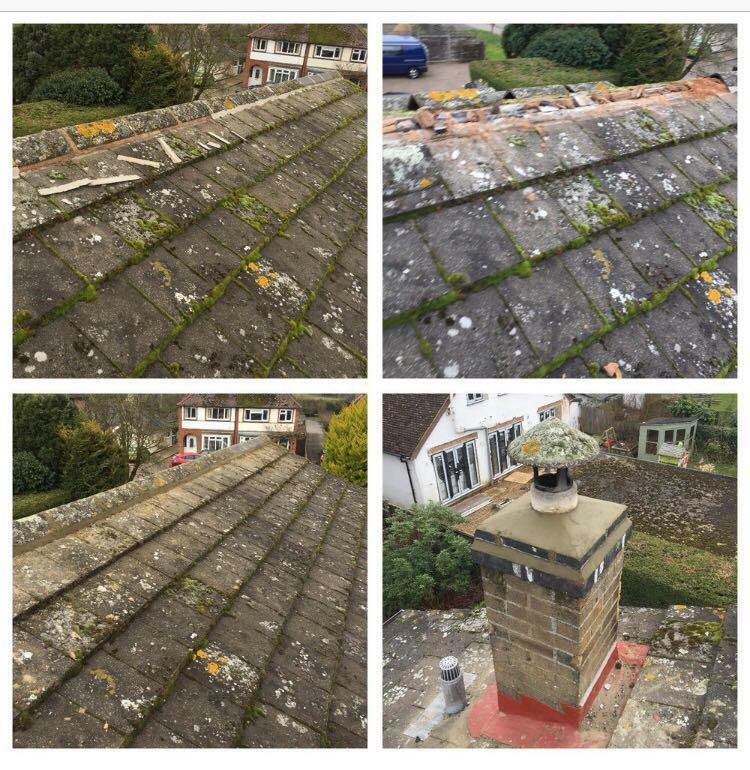 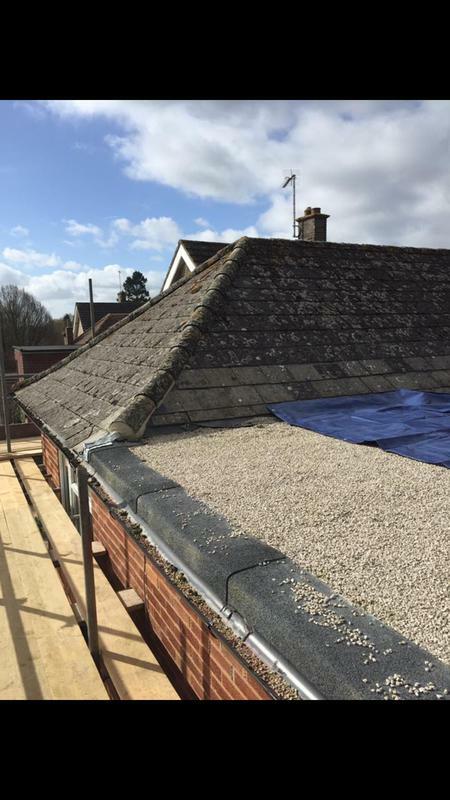 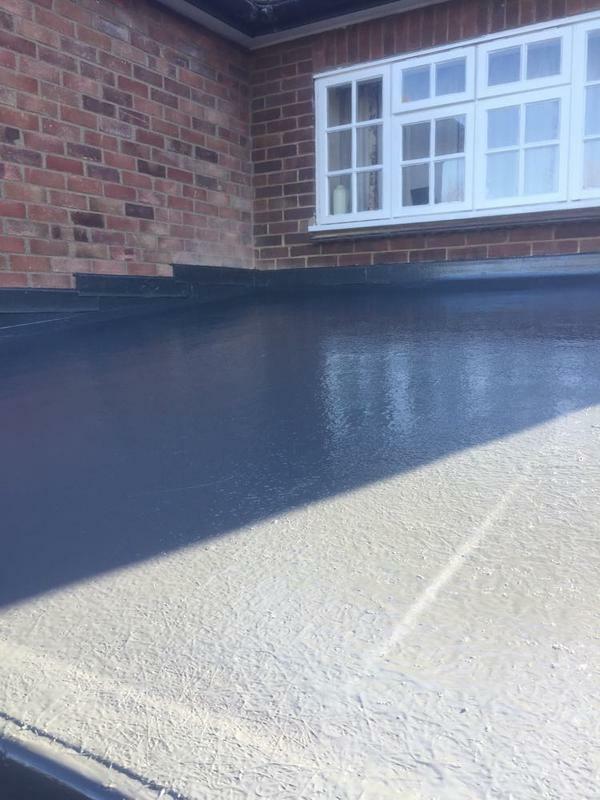 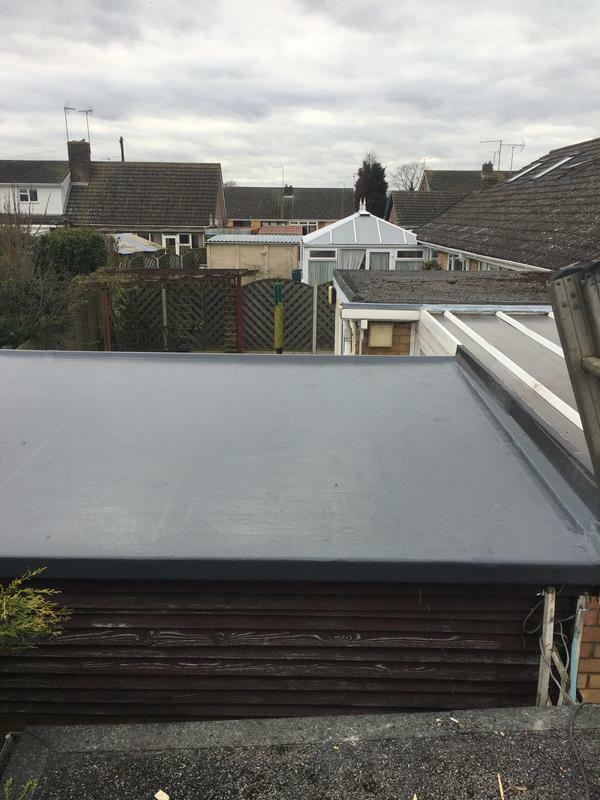 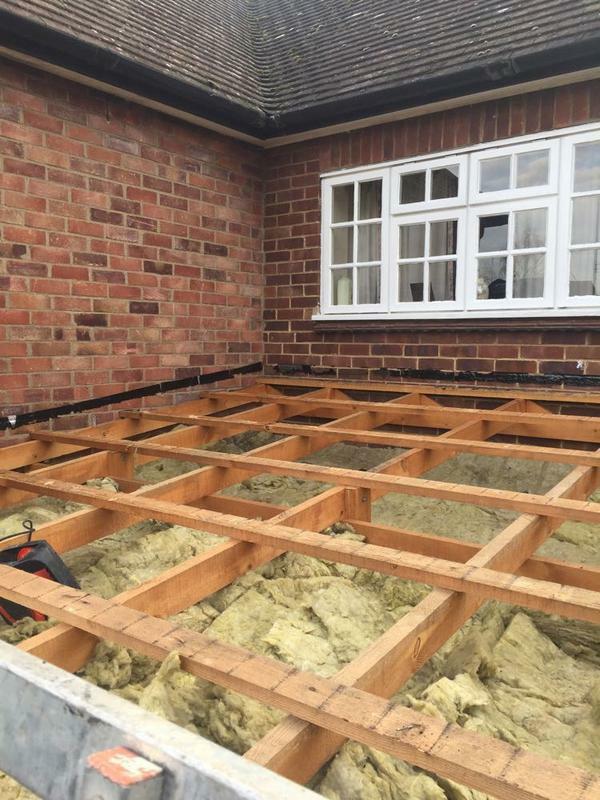 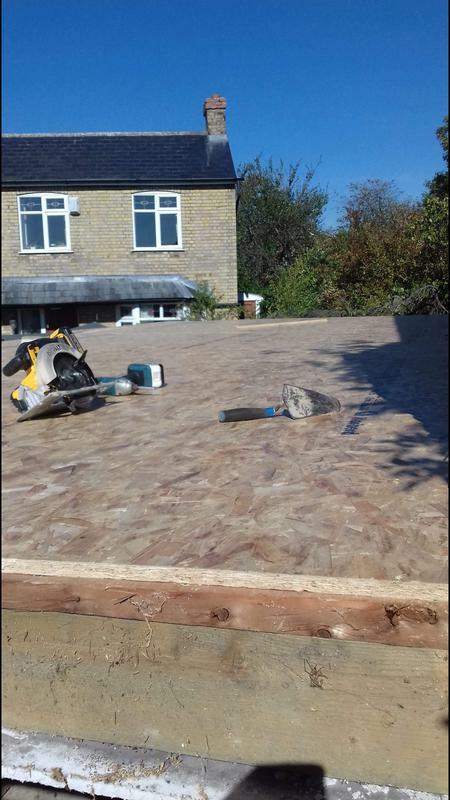 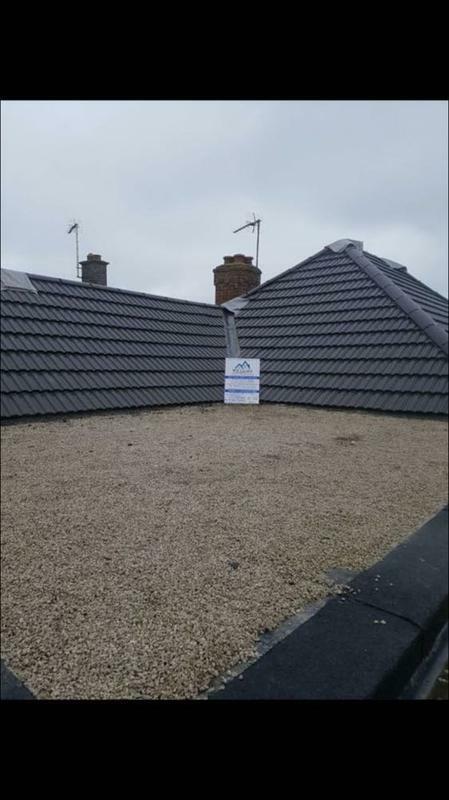 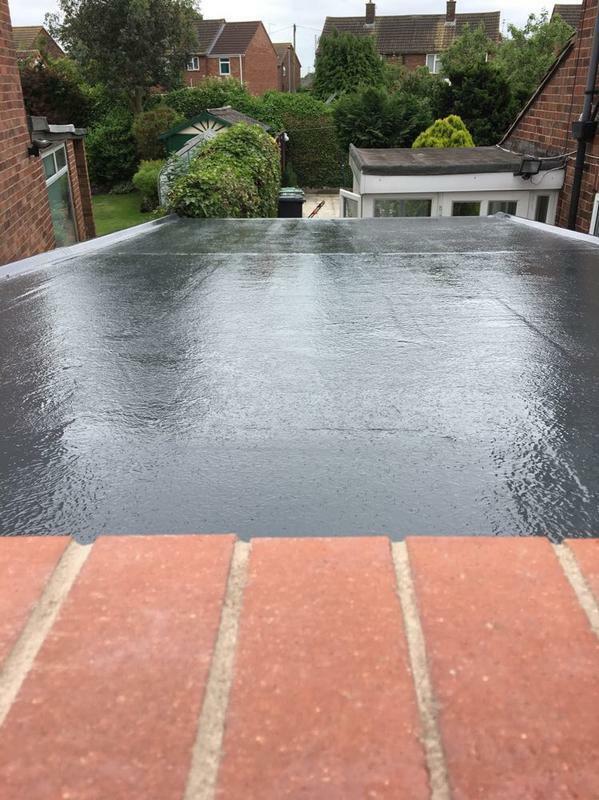 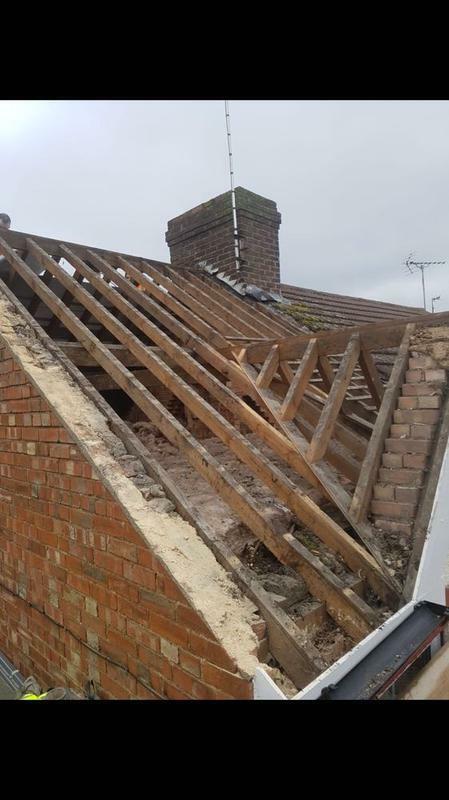 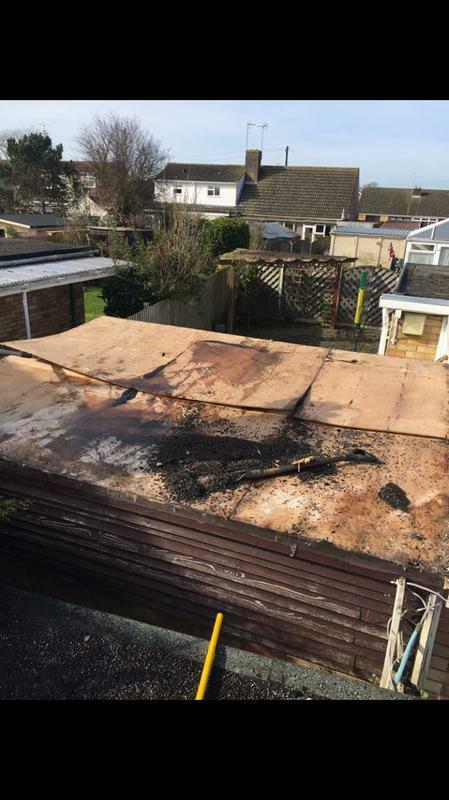 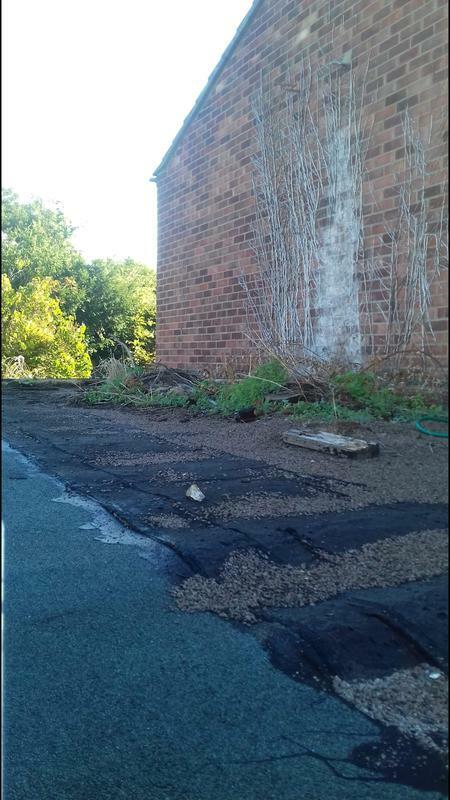 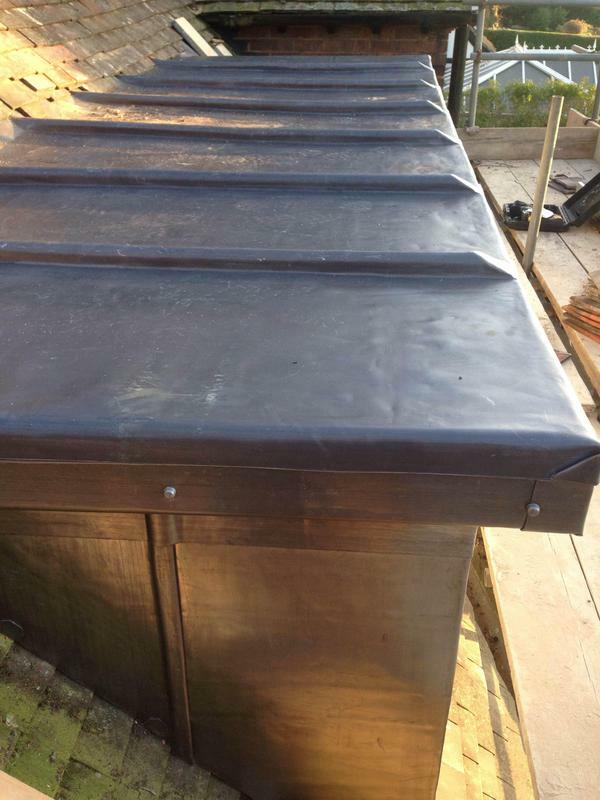 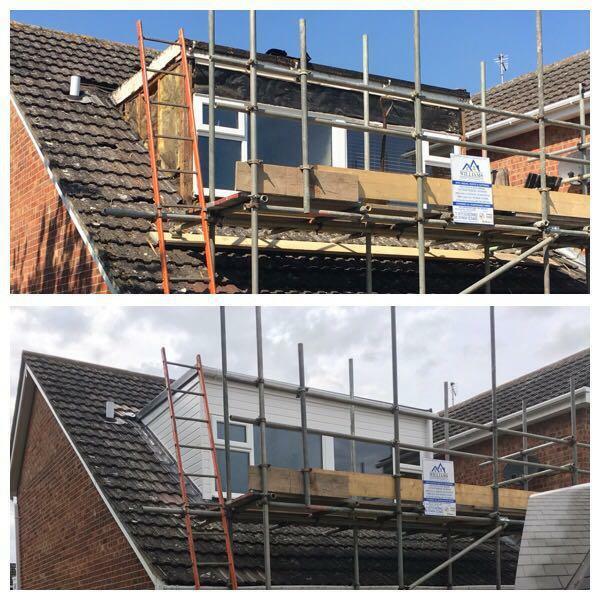 Image 56 - Old existing leaking felt roof taken off, and replaced with a new fiberglass maintenance free roof covered with a (25) year guarantee for peace of mind. 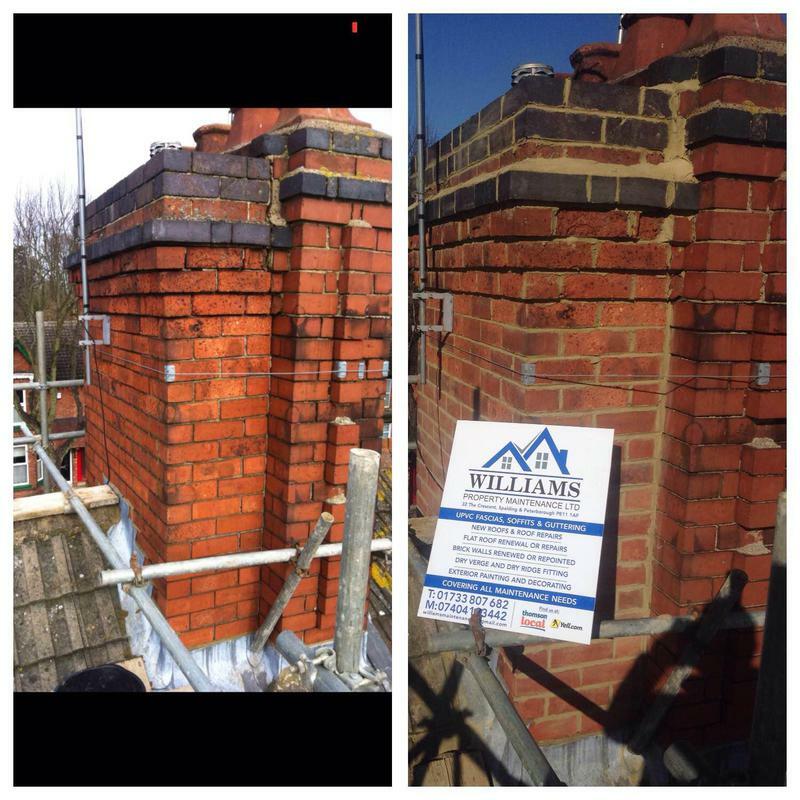 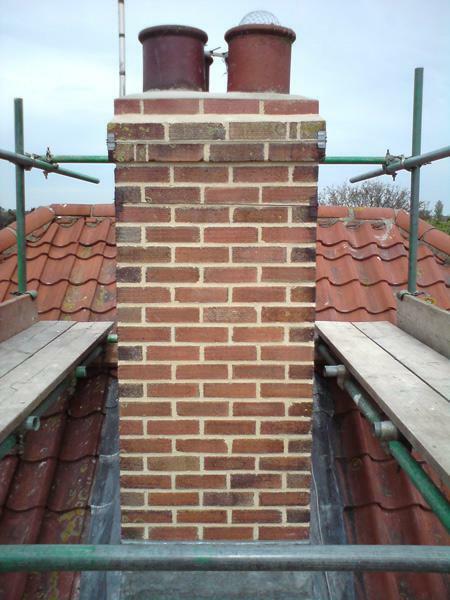 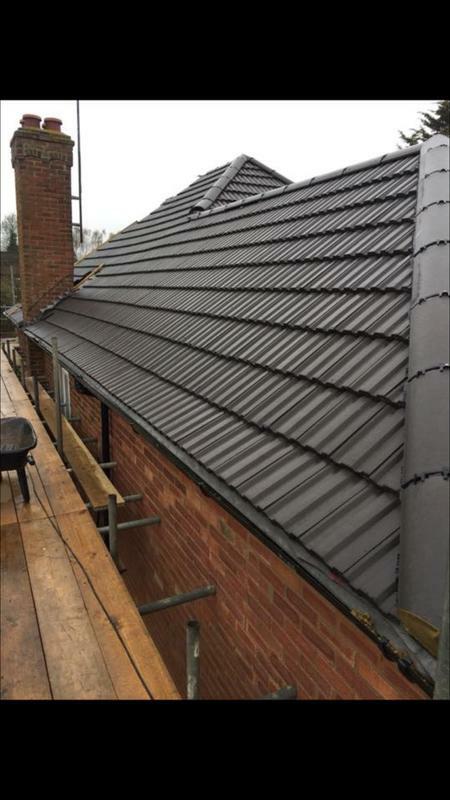 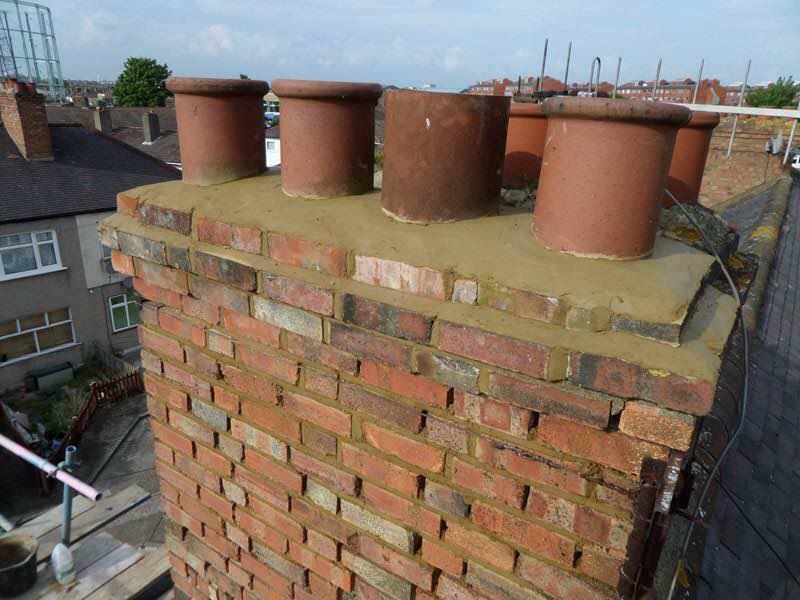 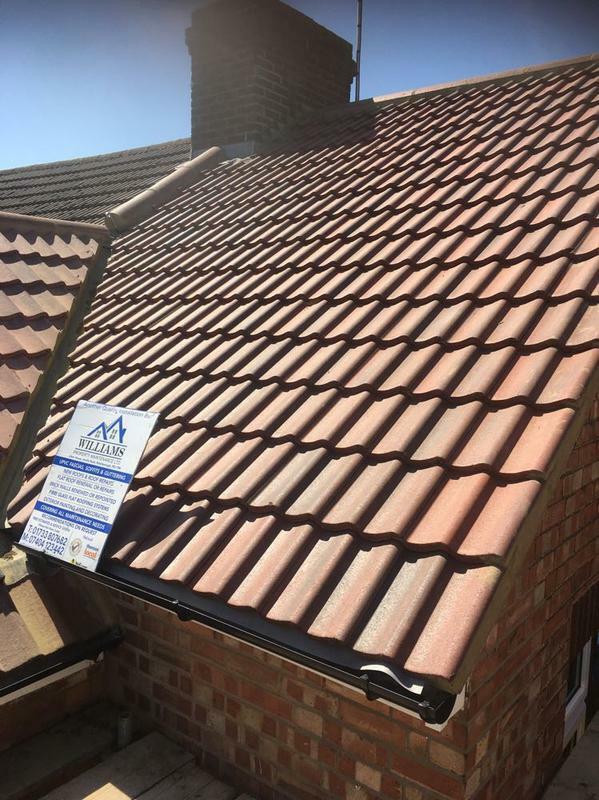 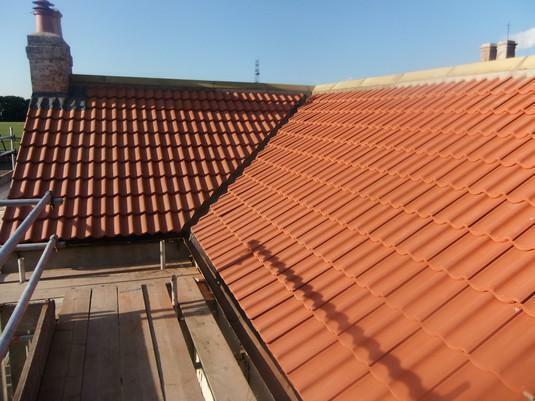 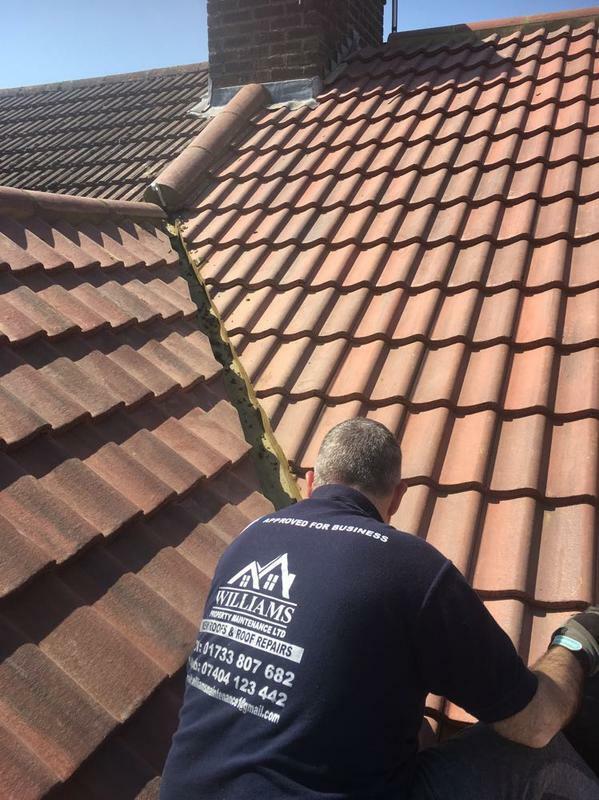 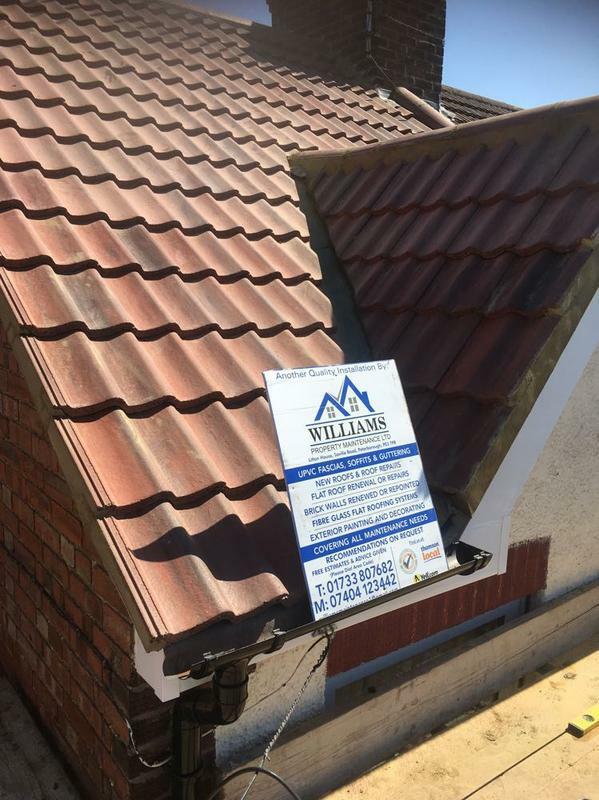 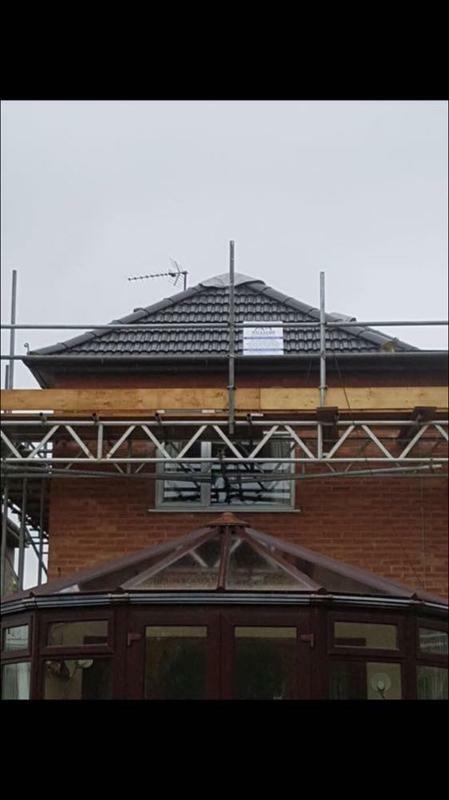 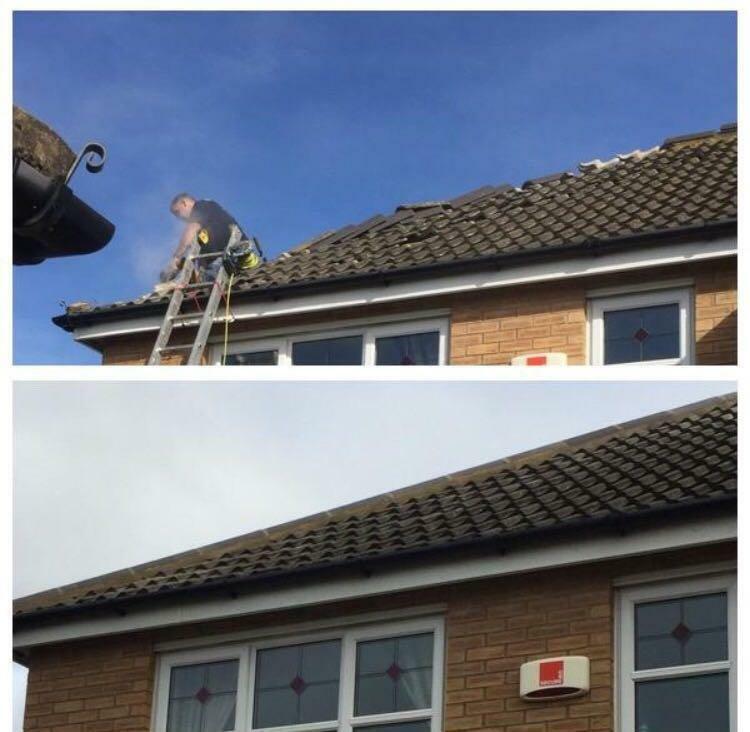 Image 67 - Just doing the last few finishing touches to a new tiled roof replacement, looks much better now with the new rustic red pan tiles. 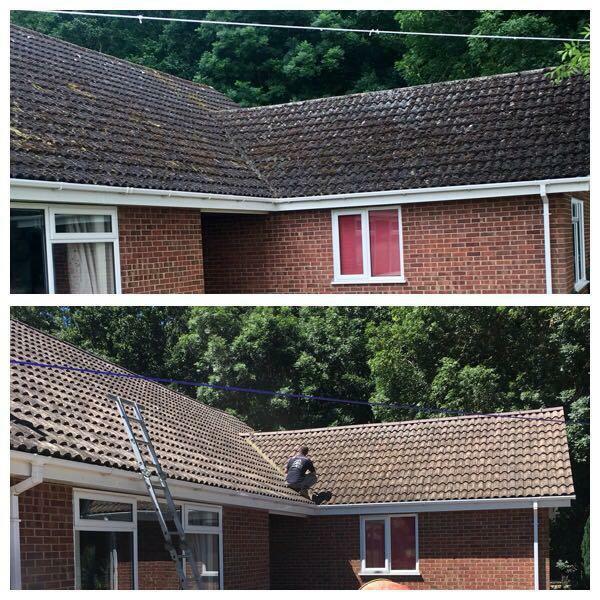 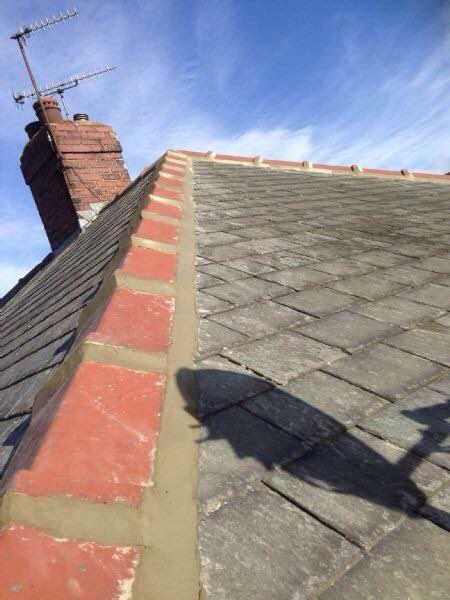 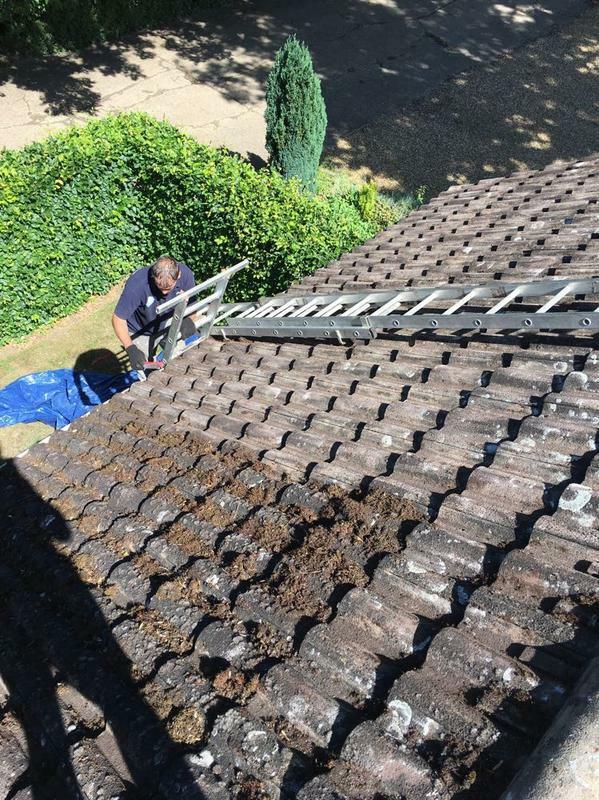 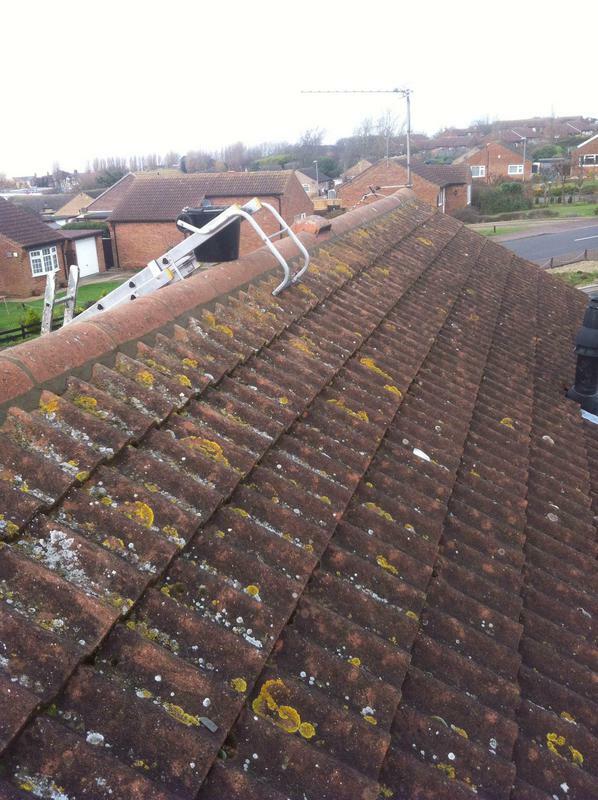 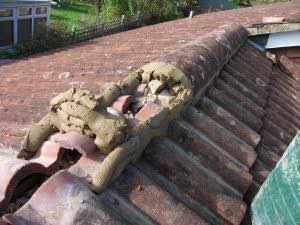 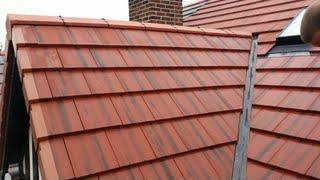 Image 76 - Tiled roof hand cleaned of all moss & tiles treated after cleaning process to prevent the moss growing back. 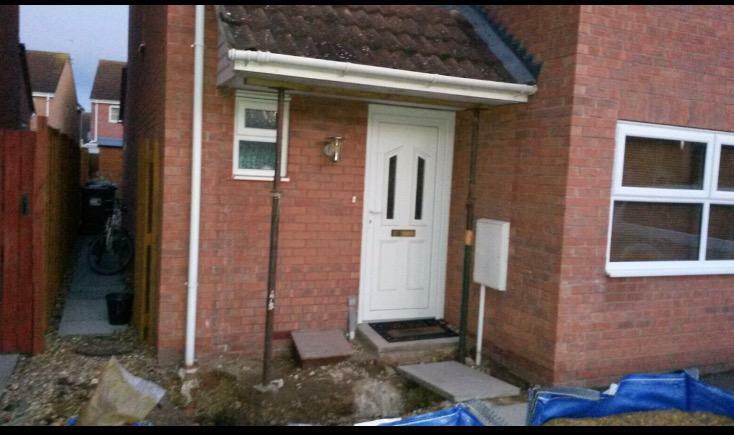 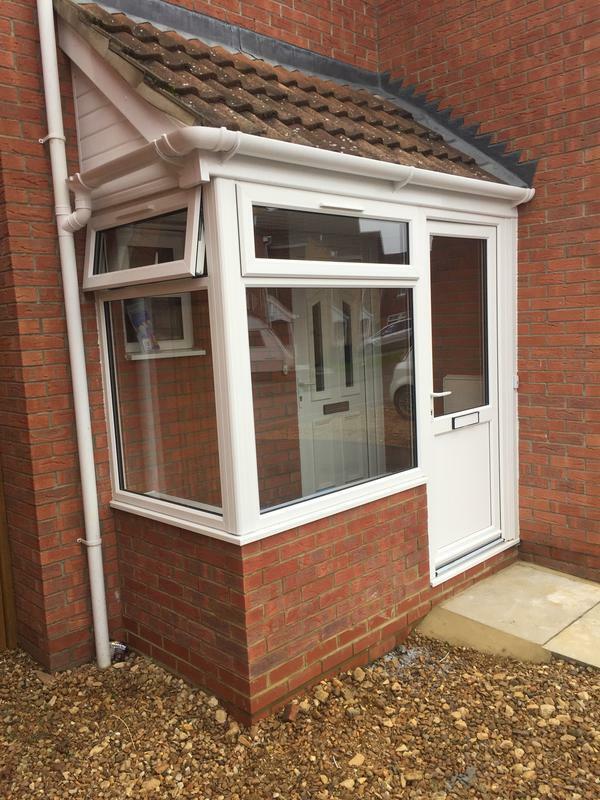 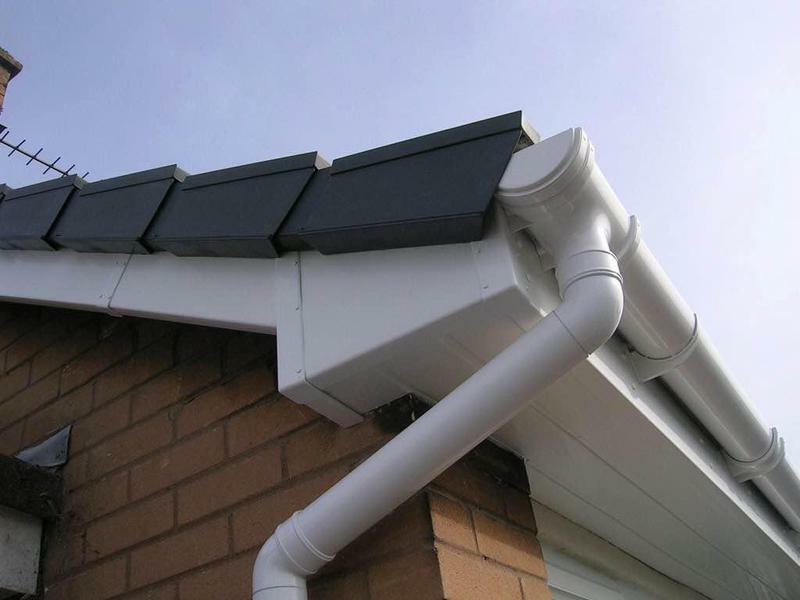 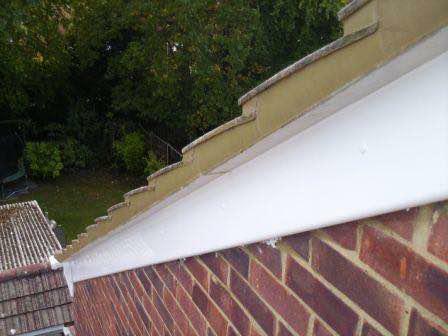 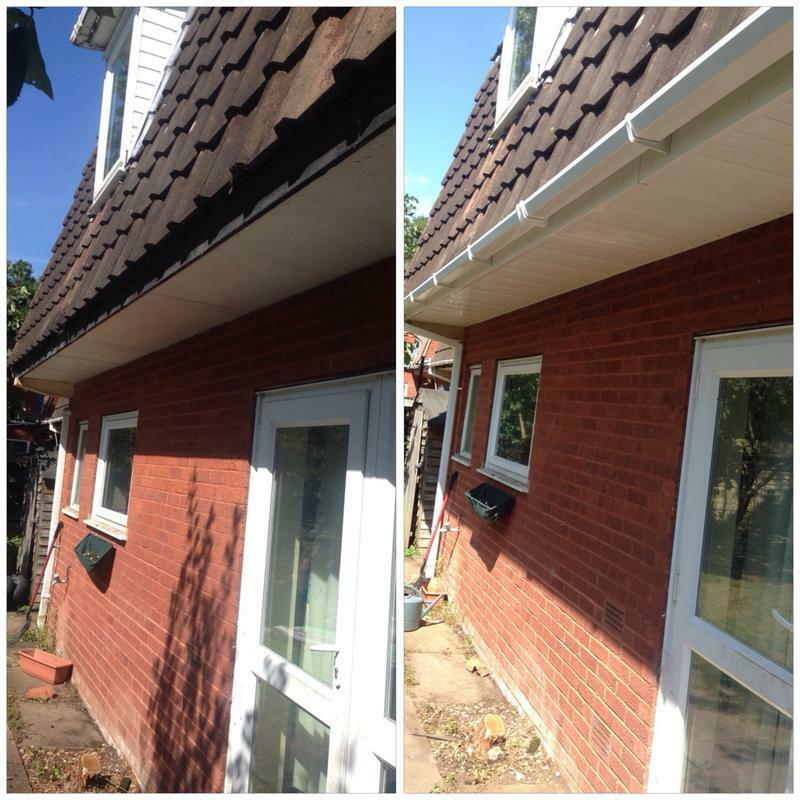 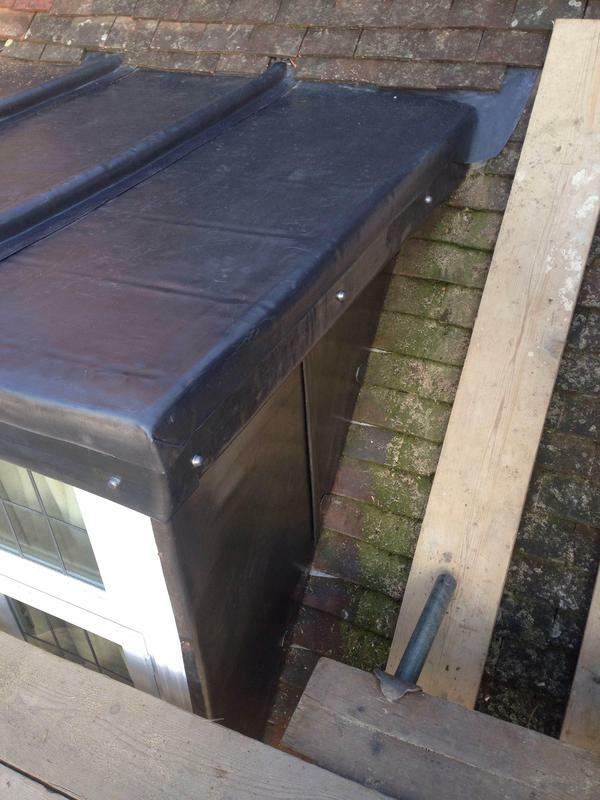 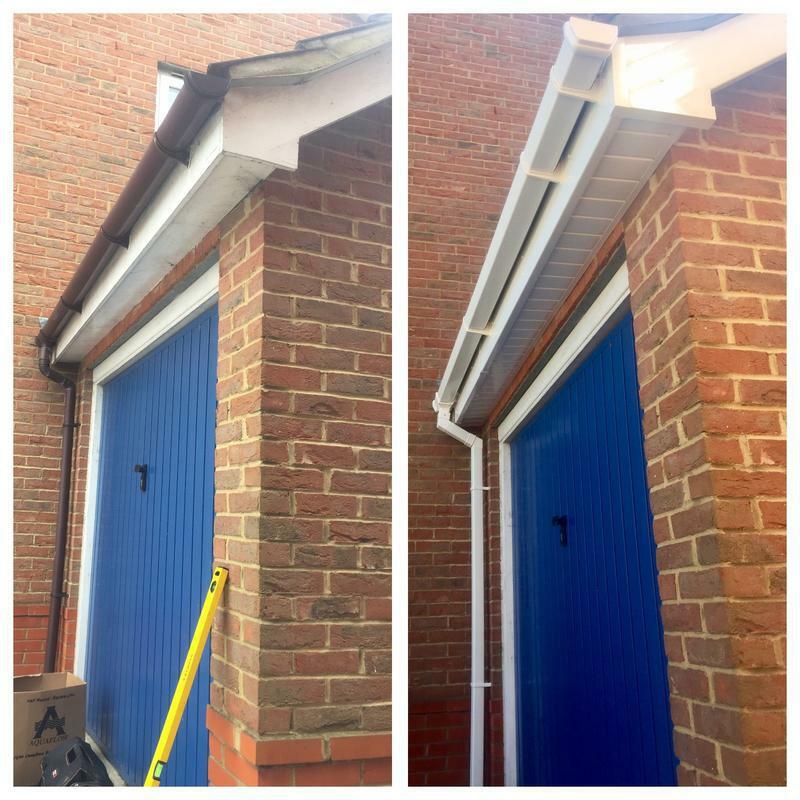 Image 81 - New white upvc fascia -soffit & guttering installation.